Minnetonka and surrounding areas, willing to travel. Cost to be determined on services required, I also will work with insurance claims. Searching land, beaches, yards, deep water, drysuit and scuba certified. Cost to be determined on services required. Have been working with the other Ring Finders in the MN directory. 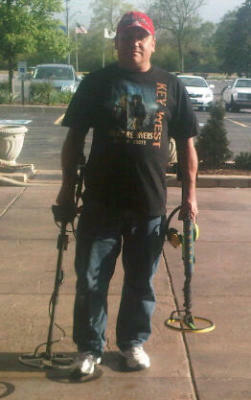 I have been treasure hunting and metal detecting for 25 years, its what I love to do and I do it well. Let me help you recover you articles, dont let your misfortune become someone else's fortune.